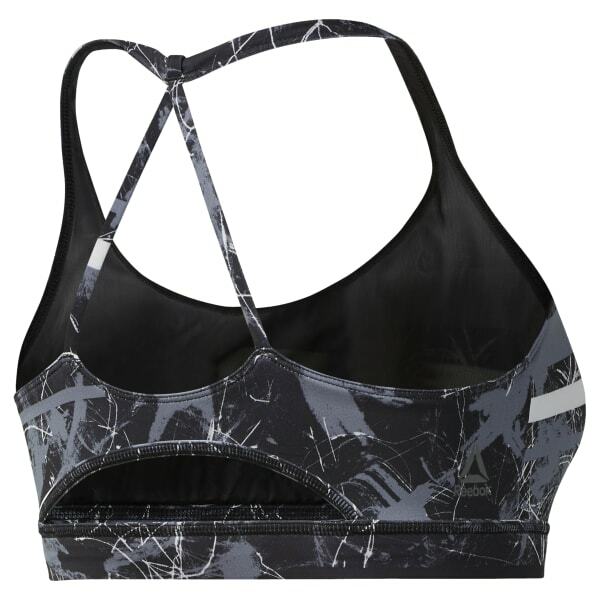 A sleek design that champions you through your workout. This women's sports bra is made with sweat-wicking, fast-drying fabric to keep you cool as your workout heats up. The straps in back offer full range of motion and a hint of style, while a playful pattern packs it full of attitude.